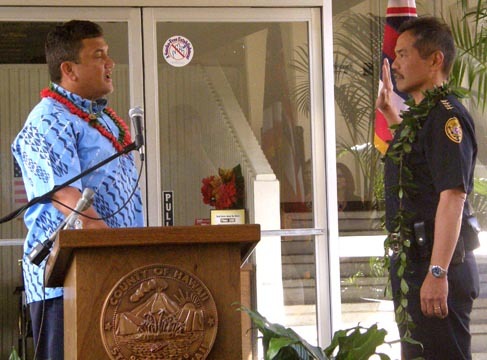 Hawaii County Mayor Billy Kenoi issued the oath of office to Hawaii Police Chief Harry S. Kubojiri and Deputy Chief Paul Ferreira on Monday morning during a ceremony at the Public Safety Building in Hilo. He compared the Police Department to a ship at sea and credited outgoing Chief Lawrence K. Mahuna with turning it around 180 degrees from where it was before. Kubojiri said it will take hard work to keep the Police Department on its path. Mahuna retired at the end of December. 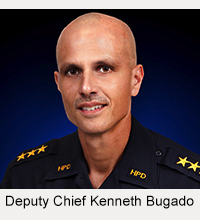 The Hawaii County Police Commission appointed Kubojiri, who was Mahuna’s deputy chief, to the chief’s position on December 3. Before Kubojiri named Ferreira as his deputy chief, Ferreira was the assistant chief of the Administrative Bureau. 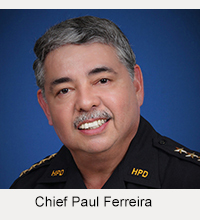 The Police Commission confirmed Ferreira’s appointment on December 30.